This week's Grand Theft Auto Online event doesn't just bring drip-fed�DLC, but a chance to earn free GTA$ just by logging into the game. Alongside this free cash offer, the game also welcomes a new off-road vehicle and the next entry in the Remix series of Adversary Modes. Dubbed the End Of The Summer Celebration, Rockstar is offering not only ways to gain free GTA$ with daily logins, but additional freebies exclusive to this event. This week's Grand Theft Auto Online event doesn't just bring drip-fed DLC, but a chance to earn free GTA$ just by logging into the game. Alongside this free cash offer, the game also welcomes a new off-road vehicle and the next entry in the Remix series of Adversary Modes. Dubbed the End Of The Summer Celebration, Rockstar is offering not only ways to gain free GTA$ with daily logins, but additional freebies exclusive to this event. Starting today through the 10th of September, your first login will net you a bonus of GTA$ 250,000, and then you'll get GTA$ 150,000 each subsequent day during the period of the event. This adds up to a tidy GTA$ 1,150,000 sum which, considering all you need to is log on, a fantastic bonus. Alongside a larger bonus, your first login will also earn you a trio of exclusive items. 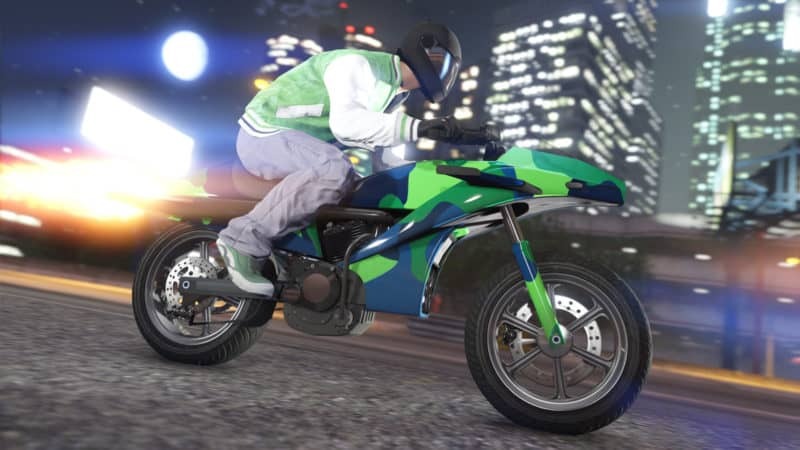 Wear the Paradise t-shirt while you party in your nightclub and also trick out your Oppressor MK II with a Blue Tartan livery, or your regular Oppressor with a Blue & Green Camo livery. 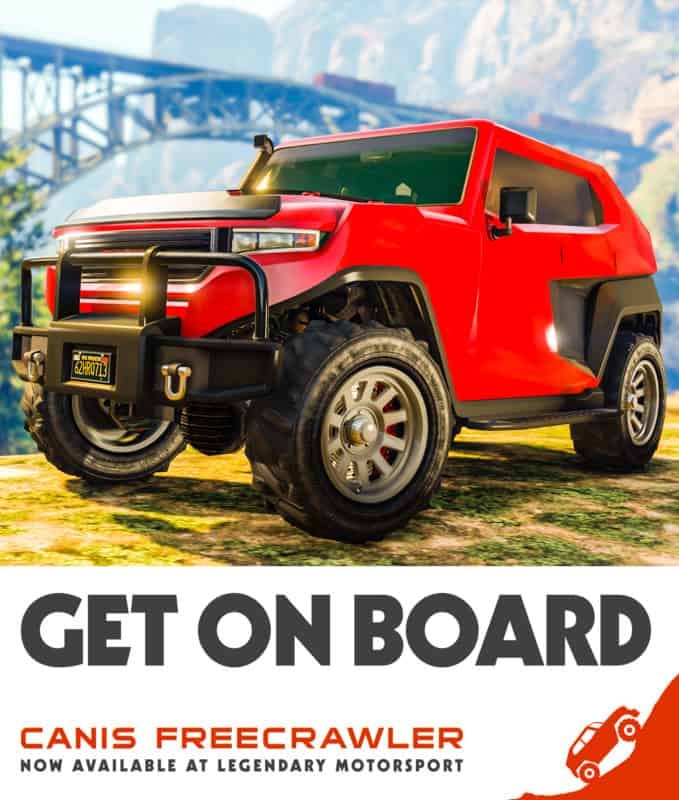 In case you don't have anything to blow all that free cash on (we're sure you do, but still) you can always buy the newest vehicle that has arrived to GTA Online. The Canis Freecrawler is a luxury off-road vehicle that combines a cutting-edge SUV with a rugged 4X4. The modern-looking ride can be yours for GTA$ 597,000, meaning you'll have about half of your free cash saved even if you dip. 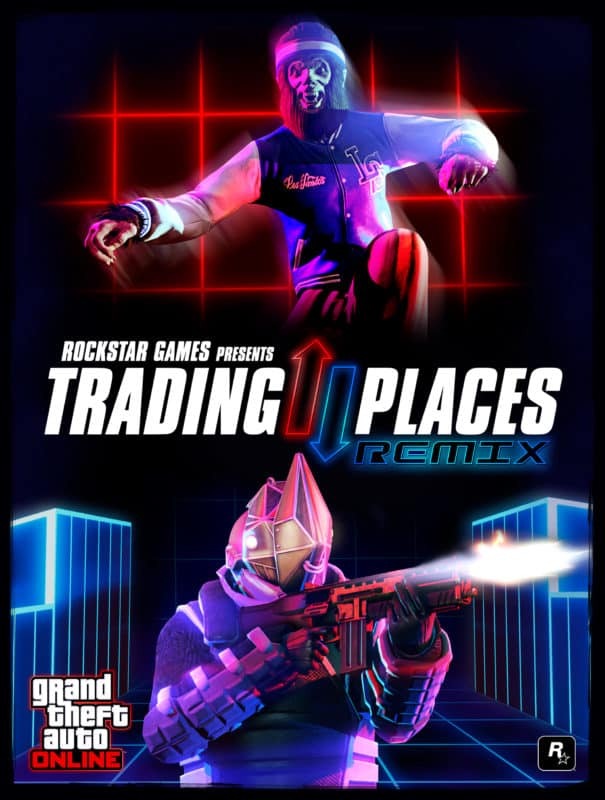 The newest addition to the remixed Adversary Modes introduced with Hunting Pack is Trading Places. The two teams are Beasts and Juggernauts, with full access to the special abilities of their respective characters, and the mode has two sub-variants called Podium Finish and Pass the Parcel both with their own ruleset. As with all new Adversary Modes, Trading Places (Remix) offers double rewards this week. Joining the new mode in the 2x GTA$ and RP promotion are Business Battles, which already yield the benefit of free supplies. Additionally, Nightclubs will generate 2x income this week, which means that if you maintain full popularity you'll be making GTA$ 20,000 each in-game day. A number of vehicles are discounted as part of this event. The Dinka Jester Classic, the Mammoth Patriot Stretch, the MTL Pounder Custom, the Entity XXR, the Mammoth Hydra and vehicle armor are all 30% off, while the Pegassi Oppressor, the X80 Proto, the FH-1 Hunter and all Benny's Original Motorworks upgrades are 40% off. In terms of properties, Nightclub upgrades and Executive Garages are 30% off, Hangars, Hangar Workshops and Bunkers are 40% off and finally Executive Offices and MC Clubhouses are 50% off. This allows newer players to ease themselves into the business side of GTA Online at a much more attractive price. We suspect Rockstar sill has a few remixed Adversary Modes up their sleeve, so keep an eye out for next week's event.